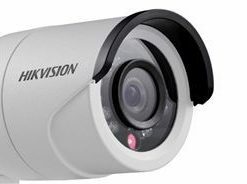 The DS-7204HUHI-F1/N is the latest addition to the Hikvision range of high definition CCTV recorders. A 4 channel Turbo-HD 3.0 DVR which is compatible with HD-TVI, AHD, Analogue and IP cameras. It features a recording resolution of up to 3 megapixels, H264+ video compression for extended periods of recording and remote access and control via mobile app.